It's with great pleasure that we bring another interview today for the blog, our first interview was with Tony Thai, a musician that made the album OST F-Zero X-Style (click here to read it). This time with a well-known person from the N64 community, Glenn Plant of the channel N64 Glenn Plant! Caso queira ler essa entrevista em português, clique aqui. 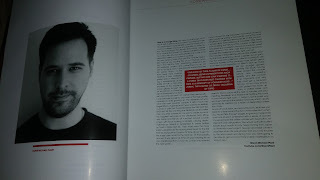 If you want to read the interview in Portuguese, please click here. Hey, N64 Glenn Plant here from Leeds, UK. Most people know of me from my N64 related channel but you may have come across my work on Gamester81 or RetrowareTv. More recently anyone picking up the N64 Anthology will have seen my photo and foreword in the book and if you haven’t already got your copy I can confirm that it's not available pretty much worldwide either from the geeks-line website or Amazon now have stock I believe. Aside from that I am 32 years old, I have been playing N64 since the day it was launched but I have been lucky enough to have owned most consoles as I’ve been a gamer since 1990. You won’t be surprised to know that the N64 is my favourite console of all time and I still spend much of my time playing it even to this day. You can also catch me live streaming on YouTube from time to time and very occasionally on twitch. I like to think that I am very approachable too so if you want to get in touch you can usually reach me on my Facebook fan page. Which games did you play most when you were younger? I was fortune as a kid to be able to get new games almost every weekend. I vividly remember waking up almost every Saturday morning and phoning my local game store at 9 am exact to ask what new N64 games they had in. I would then write them down, speak to my brother to decide what game to get and then we would decide which games to trade for it. Because of that I never really have just one "go to game" for the console but I always enjoyed coop gaming with my brother who is only a year younger than me. We started on the Sega Mega Drive cooping games like streets of rage and if a game had a coop mode that would always be a big draw for us. Saying that, we also likes multiplayer as a family and my dad and sister would often join in 4 players with us on games like Mario Kart so you could saw we were an N64 family back in the late 90s! How have your channel started? I started my channel when I finished university, I had just graduated in television and film production and i wanted to create some content really for my own personal enjoyment. I found it relaxing as a hobby to play old games from the N64 and then review them in video form. From there it escalated to getting picked up to review on Gamester81.com and then eventually retrowareTV. As the channel progressed over the years i have never really had an end plan in mind however it seems that I’ll eventually get around to reviewing all N64 games now which is something I never thought I would be so close to. How have you come out with the “Japanese eye”? I remember seeing so much about n64 Japanese exclusive N64 titles in magazines back in the day but very rarely got to play them because my local stores were not really into the import scene. Because of that I had a long list of games I had always wanted to play because they would be brand new experiences on the console for me which I had never experienced before. The name N64 Japanese eye comes from N64 magazine which was the popular magazine for the console at the time as they called their Japanese import reviews the same thing for a time early on in the magazines lifespan. What is it your favorite video you have made for your channel? I don’t have a single one however I really enjoy making N64 magazine time capsule episodes. I have a strong connection with the magazine due to the memories of buying it, reading it cover to cover and dreaming about how good some of the games were going to be. I feel thats missed with modern gaming because these days with the internet you know everything there is to know about a game even before its release - there’s no surprises any more i feel. Do you collect Nintendo 64? I used to be a much more avid collector, I think I got up to around 200 complete in box N64 games before i lost interest. It’s not so much that I lost interest in fact but the prices started to go crazy. When i first started collecting you would get good deals even on places like eBay because most retro collectors were still on the NES and SNES hype being generated from channels like AVGN and the game chasers - they were the cool consoles to collect for. However, as more people started collecting i think the N64 became most people’s “other” console to collect for and because of that some of the hidden gems started to rise rapidly in prices. Around 2 years ago I sold my entire collection for a few thousand pounds but kept a few pieces that were sentimental for me. I also pick up games from time to time when i need to review them but I tend not to collect them these days and either give them away or resell them to fund my next purchase. Which video-games systems do you play besides the Nintendo? I have a PS4 but I wouldn’t really say I’m an active gamer on modern consoles. 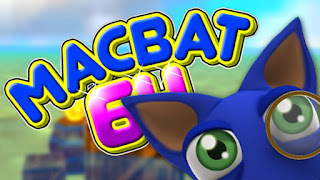 I find that with many games which come out these days you have to play them for extended periods and if you take a break even for a few days when you come back to it you can completely forget what’s going on in the game. Because of that, when I do play PS4 I tend to prefer pick up and play style games. That is also why I quite like using steam on my Mac because there are so many indie style titles which fit that style as I don’t mind I have much free time these days in between working my “real” job and my hobby which is my YouTube channel. What are the exclusives N64 titles from Japan and America that gamer have missed most in Europe/UK? I really think that most Europeans felt shafted when we didn’t get Snowboard Kids 2 released here. The first game was a surprising early hit for the console here because it was great fun, had good replay value and the multiplayer was very fun. Because of that I thought the sequel would be a sure thing for a European release but alas we never got it. And which canceled games do you think that have missed on the N64 library? 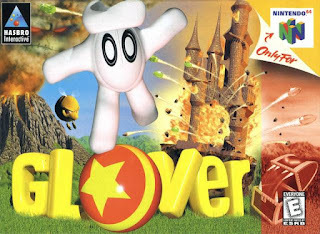 I think many people would have loved Glover 2 to be released. I’m personally not the biggest Glover fan but I get so many people ask me about Glover that I’m sure it had quite a following. I also would have liked to have seen ODT finished because the beta I have could have turned into quite a cool game but I suppose we can always play the PS1 version. I also really enjoy playing mini racers / tamiya racing even to this day and again I think that could have been a popular title had they finished and released it. What is the hardest part when you review a game? For me sometimes it’s knowing that my opinion goes against the general feelings that people have about a game. Knowing you’re putting out a review which will annoy a lot of people is always tough but at the end of the day as I always say to people it’s just my opinion and everyone has their own thoughts which is why I encourage people discussing the game in the comments section each time. I enjoy reading people’s memories of titles but sometimes people take my review as an almost official verdict of a game which of course is crazy. 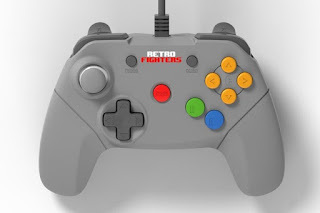 What is your opinion about the new N64 controller from Retro Fighters? I’m really interested in seeing the finished product, I would have liked to have seen a working prototype for the kickstarter but its smashed targets so I’m sure with the money they generated they’ll make sure the end result is a good one. I’m really pleased to see that so many N64 related kick-starters are doing so well and it helps build up the N64 fanbase community even further. 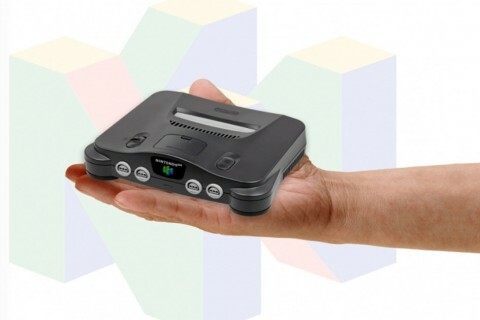 Do you think that Nintendo will release a N64 classic mini next year? I’m 100% sure they will! the SNES mini will sell like crazy and I’ve heard that Nintendo have already renewed copyrights and patents etc for various designs relating to the console - my only worry is that the choice of games they will be able to provide on the console will be limited due to the large number of licensed titles which fans want as well as RARE being owned by Microsoft now. Still, there are some good Konami titles like Goemon which I’m sure will make an appearance. What are your feelings after you had contributed in the Nintendo 64 Anthology? I was very happy to be invited to write the foreword for the English language edition. The book itself is excellent which is why I was happy to promote it after I read the French language version. I knew the quality was great and the guys at geeks-line had done other console books which are popular here in Europe and so it was a no brainer for me. Thanks again to anyone reading to helped the kickstarter - I’m sure you’re enjoying your copies of the book now! What are your favorite N64’s games? Why? Of course, like many, ocarina of time is my favourite N64 title and it is almost my favourite game of all time. 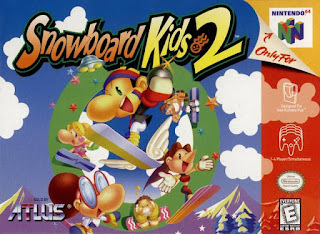 My other favourites are Diddy Kong racing, snowboard kids, beetle adventure racing, Goldeneye, Banjo Kazooie and too many more to list - I think the N64 library is very underrated by most people. And what are the games that you don’t like? It was a shame that the console got some dreadful games like Superman 64 which drag down the console but i think in the middle of the consoles lifespan we also got some dreadful sports titles and also some sub par racing games. The bar was set so high with many genres that i think some studios realised that and instead just put games out way too quickly. In your opinion, what is the worst thing about the N64? I think that the lack of RPG’s was perhaps the biggest death blow to the console. If someone made a 2D high quality RPG on the console I’m not sure it would have sold that well as people were expecting epic 3d RPGs like final fantasy 7. Looking back now though the console could have had some great 2D RPG’s i just think the industry was so dedicated to making as much in 3d that for a while we lost the art form that was great sprite work. Who knows, maybe one day we will get a fan made RPG on the console but that seems years away in my opinion given how challenging the console is to code for. Now it's common to devs make games in retro-style, on the N64 style we have 2 examples: Freeze me and Yooka-laylee. Have you played any of these games? What's your opinion about these "old-fashioned" games? I personally haven't played them but I do get a kick out of them bringing attention back to the console. 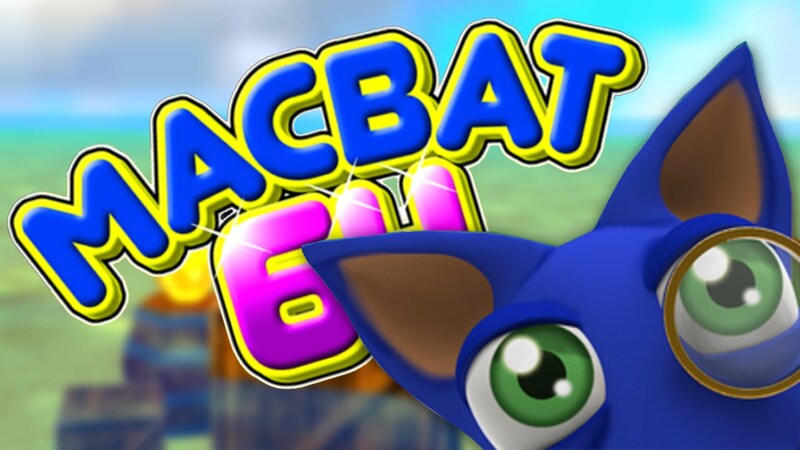 There was also MacBat 64 on steam too which everyone should check out despite it being fairly short. Besides videogames, what do you like? Do you have other hobbies? Apart from video games I'm a big football fan and Liverpool FC is my team. I watch almost every match and I'm excited we're back in the Champion’s League this year. We have had some great Brazilian players - I just hope we can keep Coutinho! Apart from that my wife keeps me busy working on our new house that we purchased last year and I also do voluntary work with my local Roman Catholic cathedral to give back to the community. What is the future of you channel? Any new projects? I’d like to wrap up finishing all game reviews in the next 2 years or so. I’ve also had suggestions to do a series about the legacy of the N64 with games like Yooka Laylee being heavily N64 inspired and also looking at how the console changed the gaming landscape. That would be interesting to do but I need to find time between making reviews, n64 magazine episodes, Japanese Eye episodes and also bringing the n64 beta project back. People often ask what i will do when I finish all N64 games but I think that is many years away yet! I want to thank again to Glenn Plant for agreeing to have done the interview! If you don't know his work, follow him on YouTube, RetrowareTv and Facebook. Esse cara é um mito. xD Não acredito que ele vendeu sua coleção. Eu espero nunca ter que chegar a esse ponto, hehehe.